We will never know of all the events which transpired during the Second World War… there were simply too many of them, and too few witnesses left to tell us about them. Nevertheless, we already have our hands full trying to solve the mysteries from that time that we know actually know about, and perhaps one of the more intriguing ones is the crash of the American bomber in the Palau islands. The plane in question was a rather huge bomber, and the crew consisted of eleven men. Based on witness reports, the crew parachuted out of the plane into safety, and the steel bird crashed in shallow water. Despite that, neither the crew nor the plane were ever found. And so began a search that spanned decades upon decades, with countless scientists, military men, scuba divers and others trying to reconstruct the events of that tragic day. 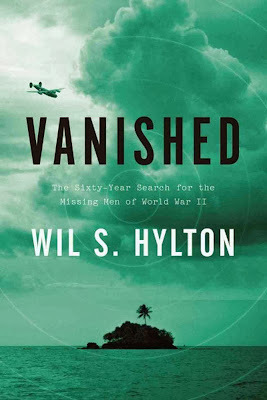 Vanished by Wil S. Hylton chronicles the event itself and its aftermath, being an attempt to provide us with the most complete picture of the fates which awaited those men. Vanished is a rather commendable attempt at bringing history to life and weaving a story out of the facts it presented us with. A large part of the book is not about the events of that day, but rather, everything leading up to them, and everything that came after (after all, the mystery still remains unsolved) them. We get to learn in great detail about each individual crewman, what kind of lives they led, what people they were connected to, their expectations for the future, and what fate had in store for them. Naturally, we also get a detailed look at the investigation that followed, with Hylton taking great care to point out the facts which make this into one of the most perplexing mysteries out there. We are also taken on a visual and historical tour of the Palau islands in Papua New Guinea, mixing the terrors of war with the breathtaking beauty such locations always entail. This book, while remaining a historical and factual work of writing in the first place, is told in the manner of a story, complete with a narrative, a main character and an intrigue everything revolves around. This helps the reader get closer to a time which seems to have passed so long ago that it almost feels unreal. There are maps and pictures included, and though some of them lack detail, they are quite a welcome addition to piles upon piles of facts. Though unfortunately the mystery isn’t exactly solved without doubt, various plausible and convincing theories are presented; determining what the final answer is becomes, thus, the reader’s job. All in all, I definitely recommend this book to those interested in the unheard stories of World War II and the mysterious disappearances of large vehicles and their crews (and boy, were there many of those around). 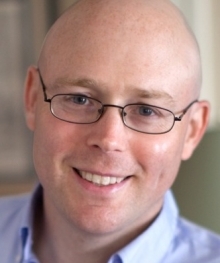 Wil S. Hylton is an American author and journalist who writes for The New York Times Magazine. Most of his writing career has been centered around newspaper articles where peculiar and unusual topics were covered, such as lion tamers and troll dolls. His first book, Vanished, was published in November 2013 and has received a lot of attention for both its quality and subject matter.